The Creature from My Closet: Katfish is the fourth book in the Creature from my Closet series. This book is about a boy named Rob whose life has been ruined by other creatures that have come out of his closet in the prior books. Rob has become an outcast at school, so his science closet sends a creature named Katfish to the rescue. With a little help from Katfish and his friends, will Rob earn back his life at school? 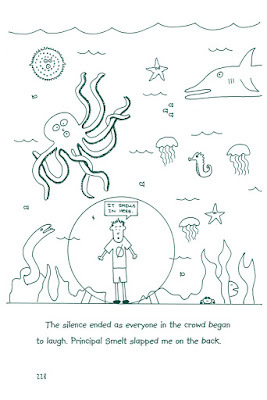 Find out the answer in The Creature from My Closet: Katfish. 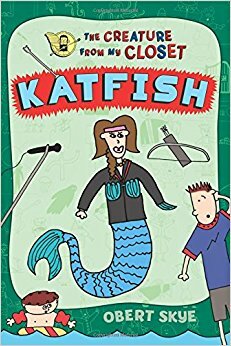 I thought The Creature From my Closet: Katfish was a great book because, just like the rest of the series, a creature came out of his closet that is a mix of two other popular book characters. In this book it was a mix of Ariel( from The Little Mermaid)and Katniss( from The Hunger Games). Other characters from the closet include Wonkenstein (Willy Wonka and Frankenstein), Potterwookie (Harry Potter and Chewbacca), and Pinocula (Pinocchio and Dracula). This series is good for elementary and early middle school. 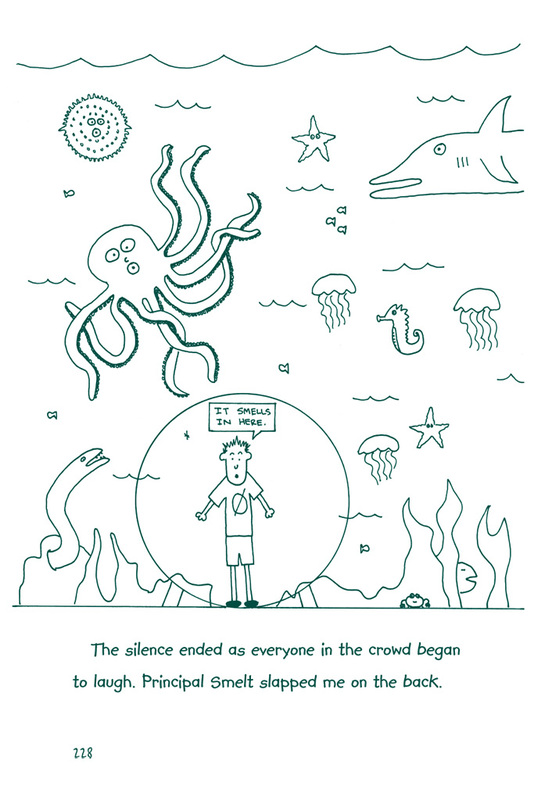 It's funny to read and a good mix of the story with fun drawings in between.